Increasing stakeholder demands for transparency are intensified by growing public scrutiny resulting from a range of catastrophic compliance failures from around the globe. The Certified Master Corporate Compliance Specialist (CMCCS) training builds on your previous training in compliance to take your compliance and risk management knowledge to a new level, integrating an overview of complex case studies and enhanced technological solutions with a deeper exploration in the underpinnings of compliance management and how to most effectively and appropriately develop an organization-wide culture of compliance. More than an add-on, the CMCCS program is a masterclass in compliance and risk management. This program is designed to alter behavior and support the development of a culture of integrity and compliance within individual participants that can then be transferred to permeate your organization. I love this class. Everything was perfect...I'll recommend this class for every compliance manager I know. Also available in French. Ce cours est également disponible en français. OPTIONAL: Certification Exam – You must pass the certification exam in order to receive the additional Certified Master Corporate Compliance Specialist (CMCCS)™ designation & certificate.You will still receive a certificate of completion (Master Corporate Compliance Course) for the course whether you complete the exam or not. 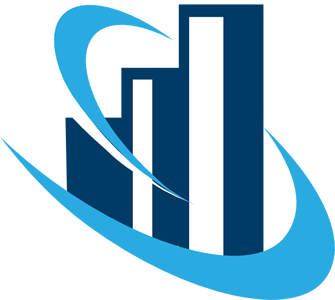 Who should enroll in the Certified Master Corporate Compliance Specialist (CMCCS)™ training course? “It is a rich course, loads of new information and lots of interaction.” – Omar N.
“By far one of the best and most beneficial programmes I have attended…the knowledge I have gained far exceeded my expectations and will enable me to make a valuable contribution to my company.” – Inoka J. What I liked most about this training: “The information it provide me with and the wide knowledge and experience of the speaker who was very professional.” – A.S., Oman Tourism Development Co. 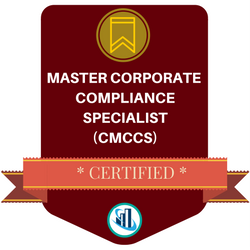 This digital badge designates you as a Certified Master Corporate Compliance Specialist (CMCCS)™, which you may use on business cards, resumes, LinkedIn profiles, website profiles, email signatures and more. In addition to the Certificate of Completion for the course in general, if you successfully pass the Certification exam, you also receive a CMCCS™ Certificate to mark your achievement. In order to keep your status as a CCCS™ in good standing, you need to regularly take Continuing Professional Development courses. …the investment is only $3997. You get at least $25,174.64 of value for just $3997.